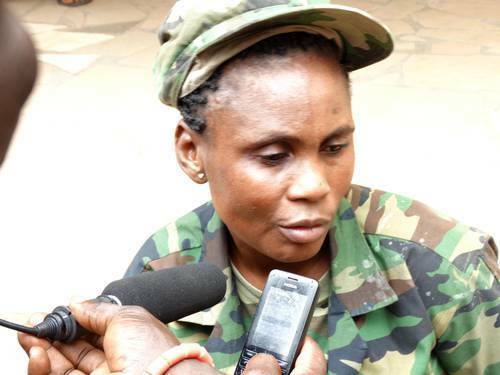 A woman who had been parading herself as an army officer in order to gain favours from the public and border officials, has been rearrested by the Nigeria Police Force (NPF), Ondo State Command. Jemila Suleiman who had been using the pseudonym Angela Tonye Omieh, was previously arrested on the 17th of April 2014. 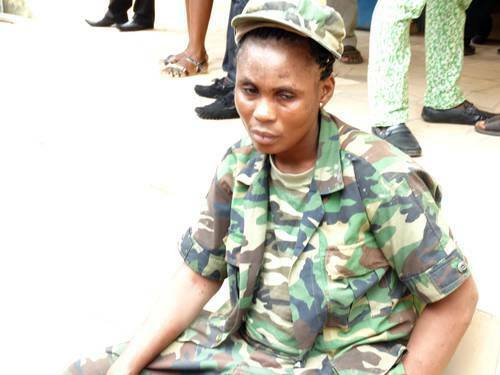 She was arrested then while dressed in complete military regalia and attempting to pass through a military check point in Akure, Ondo. 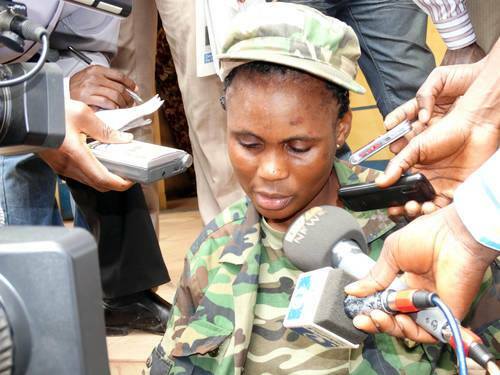 At a press briefing a month after her arrest, she informed journalists that she had attended the Nigeria Army depot in Zaria, Kaduna, but dropped out after multiple injuries. to be found by authorities. 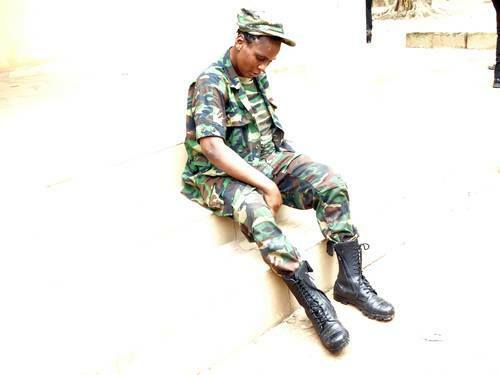 She later purchased a military uniform from the Army depot in Zaria, Kaduna. According to Sahara Reporters, she was rearrested on Wednesday as she attempted to pass through the Igbara-Oke military checkpoint in Ifedore Local Government Area.